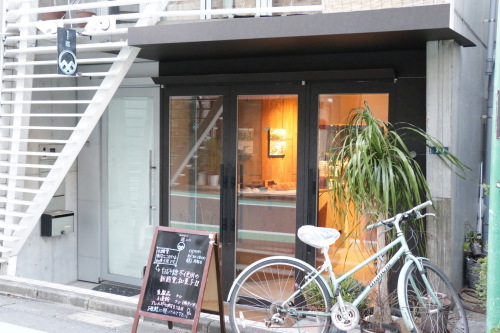 Welcome to the “Sweets” area of Vegewel Style, where we will be publishing a series of articles on vegan and vegetarian sweets shops in Japan. Our first stop is Wanokashi Meguri, a bakery specializing in vegan sweets, which has recently opened in the Yoyogi Uehara area. Click here for the location and detailed information about the shop. 2 Japanese sweets that aren’t actually sweet are no fun, but enjoying sweetness to the detriment of our glycemic sugar levels is no good either. Leaving Yoyogi Uehara Station from the south exit, it’s just a five minute walk through a quiet residential area to this little corner shop. Having just opened in April of 2016, it has a very new feel. 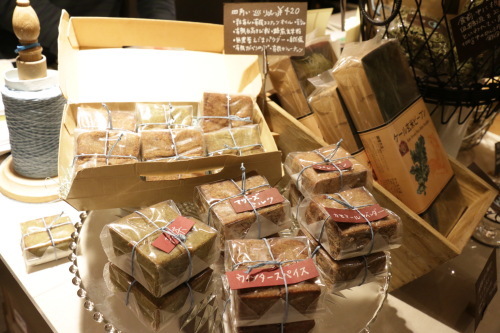 “Meguri,” as the store is also known, specializes in Japanese sweets made without the use of dairy products, eggs, wheat flour, or preservatives. Wherever possible, organic, naturally cultivated foods are used. All items are gluten-free. The red azuki beans used in the mochi are grown pesticide-free and without the use of chemical fertilizers. Further, for better glycemic health, white sugars are not used either. Instead of white sugar, sweetness is imparted with the help of organic agave syrup. This same agave plant used in the production of tequila is also a great source of natural sweetness. Compared to regular sugars, agave syrup is 1.3 times sweeter with 20% less calories. With its low GI impact, it is thought to be better for blood sugar levels. Also suitable for diabetes sufferers, the store generally has five to ten varieties of Japanese sweets made this way on hand. The most popular Japanese sweet here is the “Daifuku,” which literally means “good luck.” It’s a sweet mochi treat meant to bring you good fortune! At Meguri, Daifuku are sold at 350 yen apiece. Organic brown rice, organic quinoa, black beans, and high quality, health-promoting charcoal are folded and fired together, then wrapped around the agave-sweetened red azuki beans (together known as “anko”) to form a delicious Daifuku. It’s a store secret how they are able to recreate the traditional texture of Daifuku’s made with white rice while using brown rice for the mochi instead. 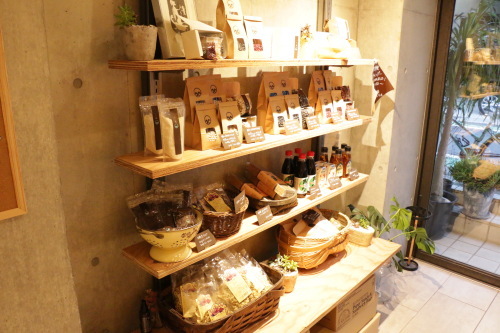 The store boasts customers from as far as Hokkaido in the north and Kyushu in the south. The flavor can be simply summed up as having a gentle sweetness. As opposed to traditional Daifuku mochi, Meguri’s do not leave you wanting to immediately take a sip of green tea to wash down the heaviness. Instead, you will want to let the gentle sweetness, and light, clean flavors linger on your palate. 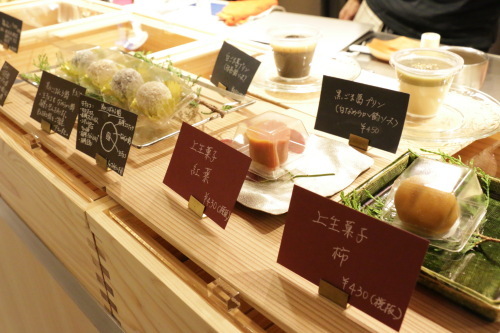 Even men that do not generally have a sweet tooth are sure to take a liking to these Daifuku. 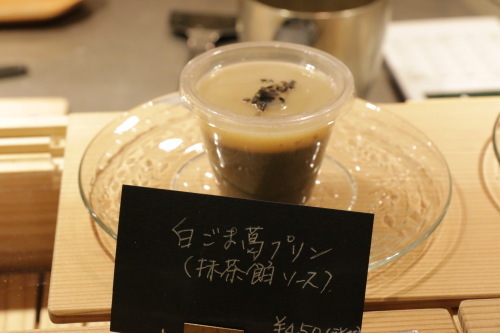 Another favorite is the kuzu pudding made with organically cultivated sesame seeds. Both white and black sesame seed varieties are available. I had only the chance to try the black sesame variety, with its lovely combination of rich black sesame seeds and white sweet bean paste. Naturally, here as well there is no white sugar used. There’s plenty of baked sweets to choose from too. 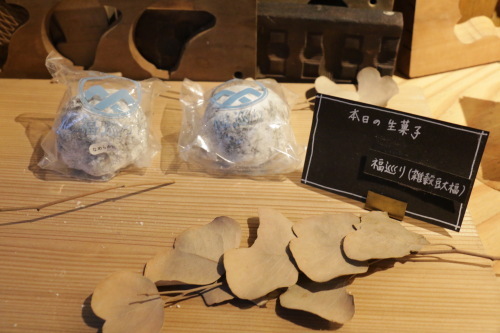 Pictured above are Meguri’s gluten-free cookies (420 yen). Instead of wheat flour, these cookies are made with roasted brown rice flour and organic white millet. The oil used has a well balanced combination of Omega 3, 6, and 9. The store features an elegantly simple design of concrete and wood. 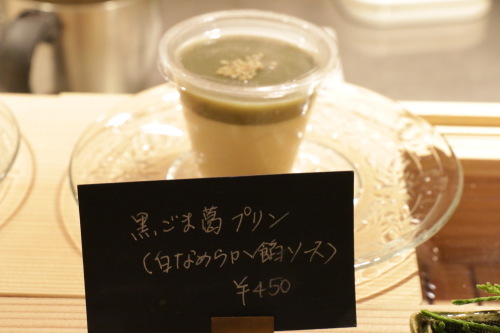 It feels quite different from the typical Japanese sweets shop. For customers wishing to enjoy their treats immediately, there are five seats available. The store has imminent plans to begin selling coffee, mulberry leaf tea, and other hot beverages, as well as sweet red bean soup. A carefully picked selection of high quality foodstuffs is also on display for your consideration. All of them are of course organic. Japanese sweets that aren’t actually sweet are no fun, but enjoying sweetness to the detriment of our glycemic sugar levels is no good either. I sat down to talk about this and other things with Meguri’s owner, Noriko Kuroiwa. I was eager to hear about her aspirations when it came to creating this store. Mrs. Kuroiwa was an advertising executive for a cosmetics company when her husband died at a still young age. He had worked extremely long and hard hours at a television station, eaten unhealthily, and had a very stressful existence. All of this took its toll on his body, which eventually developed into terminal cancer. From this, Mrs. Kuroiwa came to give a lot of thought to how the food we eat contributes to, or ends up being the detriment to, our health. From here, she became interested in macrobiotic diets and the positive benefits they can bring. She decided to make a change. Mrs. Kuroiwa had always been interested in Japanese sweets, but had come to feel that the traditional store bought varieties were too sweet for her taste. Though she looked and looked, she was not able to find Japanese sweets that were of the dialed-down sweetness she was craving. It was at this point that she decided to open her own shop, Meguri. “The blood which circulates through our body should be kept healthy” is a belief to which Mrs. Kuroiwa strong connects. Additionally, the flow of people which surround us, forming our encounters, bring a happiness to which we must also connect. 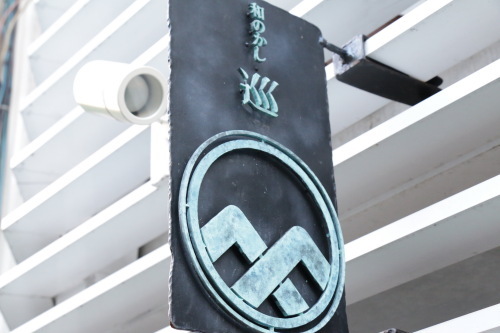 Meguri seeks to be thorough and strict in how they make their products. However, stiff rules and stubborn ways are to be disposed of, and instead a cheerful attitude toward making delicious foods should be focused on. Accordingly, Meguri hopes to entice you with healthy, tasty, and responsible sweets. Meguri and her owner do not appear to be particularly interested in opening up lots of shops and going large scale. Instead, she feels that having a beloved local sweets shop is of sufficient worth unto itself. Meguri makes just what the shop can sell that day. In fact, during the discussion I had with Mrs. Kuroiwa, the Daifuku treats sold out. 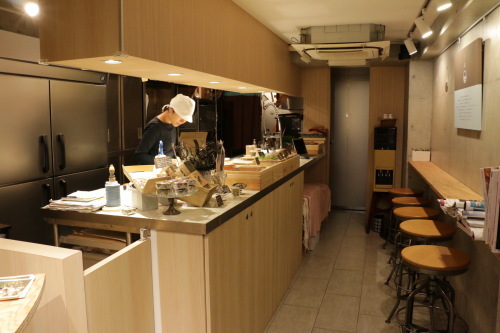 Mrs. Kuroiwa operates a top-class business where her beliefs shine through in her quality. The store is open until 6 p.m., but it is best to go early to avoid disappointment. SB Foods is about to release a fully-loaded vegan curry, complete with 18 varieties of vegetables.